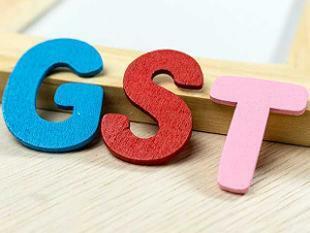 WelCome All MsnTarGet.CoM User Previously, at the introduction stage of GST, high rates were applied on daily use items, which put common man in trouble. Goods were categorized into 3 slabs – 28%, 12%, 5% and 0%. But the new law that will be implemented has reduced GST on many items, even exempted GST on necessary items like sanitary pads and rakhis, etc. Govt. To Announce 2% Rebate On GST On Digital Cashless Payments! Govt. of India wants to promote cashless drive in every sphere of commerce; and GST is their new ammunition. In a masterstroke, Govt. is making plans to incentivize digital payments, by providing instant discount of 2% on the GST. But, why this is a masterstroke? Because, only those transactions which are less than Rs 2000 would be the eligible for this rebate. As per ET’s report, Govt. is considering a proposal to offer 2% discount on GST paid, if the payment has been made via digital or cashless mode. As you are reading this post, officials from finance ministry, RBI, cabinet secretariat and ministry of electronics and IT are having detailed discussion on this issue, and a decision would be taken soon. Rs 2000 is an interesting threshold, because data states that maximum digital transactions happening in India are sub-Rs 2000. This is the reason Govt. removed OTP for sub-Rs 2000 transactions last year, which gave a tremendous boost to the overall habit creation of cashless payments. And now, the same is being planned using discounted GST as the incentive. It is still not clear how and when the discount on GST shall be provided. It can be given at the time of making payment, or credited later as a special cashback while filing tax returns. This decision has to be taken by Finance Ministry, regarding which an announcement would be soon made. In the past few months, even before demonetization kicked in, Govt. of India had been promoting and encouraging cashless drive via various offers and schemes. Recently, for encouraging BHIM app, and UPI mode of payments, Govt. announced Rs 340 crore worth of lucky draws and lottery for common citizens; besides special Independence Day offer for BHIM app users. Even before GST, Govt. had launched several incentives for paying tax, via digital mode. Last year, we had reported how small traders can save upto 46% in taxes, if they accept payments via cashless mode. In February last year, Govt. removed surcharge, and service charge for all digital payments; and in December, service tax was removed on digital payments. Immediately after demonetization, a slew of offers and discounts were announced for promoting cashless payments all across India. Do you think such incentives and offers for cashless payments actually work? Or they are mere marketing gimmicks of the Central Govt. ?